Need ideas for new products, management strategies, marketing campaigns and more? 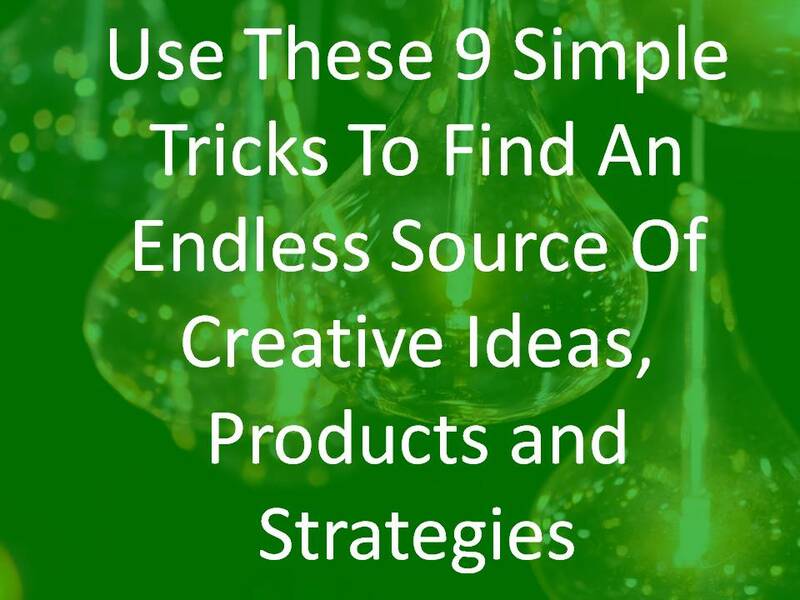 Simply use these 9 simple creativity tactics… And never run out of great ideas again! *Disclaimer: None of the statements on this website should be understood as a guarantee or implication of guarantee of wealth, financial success or any other type of success. Results may vary from person to person.